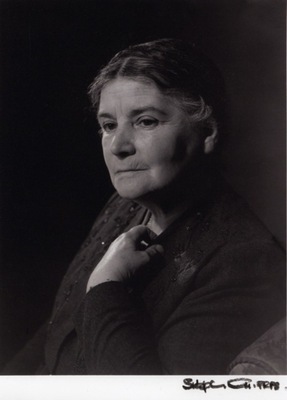 Anne McAllister founded the Glasgow School of Speech Therapy in 1935 (director until 1964), and established a specialist clinic for children with speech difficulties, notably the results of birth defects, at the Royal Hospital for Sick Children in Glasgow in the following year. "Naturally, the speech therapist is interested in the linguistic approach to speech disorders, deeply entrenched as it is in the modern concern with Communication." She was also a founder member of the College of Speech Therapists in London which became the Royal College for Speech and Language Therapists in 1944. Her monograph Clinical Studies in Speech Therapy, published in 1937, established her international reputation. Born 29 November 1892, Biggar, Scotland. 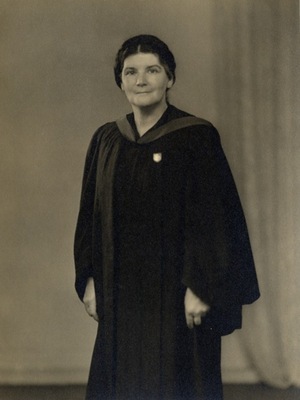 Anne Hutchison McAllister (1892-1983) was a graduate of the University who became a Principal Lecturer at Jordanhill College of Education and a leading speech therapist. After graduating MA in 1917, McAllister trained as a teacher at Stow College and was appointed Lecturer in Phonetics there in 1919, and subsequently at the teacher training college at Jordanhill. She established the Glasgow School of Speech Therapy in 1935 (she was Director until 1964) and in 1936 started a speech clinic at the dispensary at the Royal Hospital for Sick Children, for children who had undergone operations for cleft palates and hare lips. She was one of the founders of the College of Speech Therapists in London in 1945. McAllister was awarded an OBE in 1954. World Changing Project, "Development of speech therapy," in University of Glasgow World Changing (University of Glasgow, 2010); http://www.worldchanging.glasgow.ac.uk/article/?id=95 (accessed April 26, 2019). World Changing Project. "Development of speech therapy." In University of Glasgow World Changing. University of Glasgow, 2010. http://www.worldchanging.glasgow.ac.uk/article/?id=95 (accessed April 26, 2019). World Changing Project. "Development of speech therapy." University of Glasgow World Changing. University of Glasgow, 2010. 26 April 2019 <http://www.worldchanging.glasgow.ac.uk/article/?id=95>.